The Social Law Firm Index measures a law firm’s reach and engagement across various social media platforms, the quality of its thought leadership content, and how the firm optimizes its websites for search engines. Download the 2017 Social Law Firm Index! This year, Good2bSocial doubled the size of its reviews and rankings to include every firm on the Am Law 200, The American Lawyer’s list of the highest-grossing firms in the United States. During its first three years, the report focused on the Am Law 100. The new data shows that many smaller firms are effectively embracing digital marketing — and perform especially well on specific social platforms like LinkedIn. “Though a smaller firm may not have all the resources of a global mega-firm, they can target their resources to create a strong presence on social media,” Alvarez says. The Index ranks all 200 firms based on a score of 0 to 100 that includes several measures of a firm’s digital prowess. This year, in addition to reviewing more firms, Good2bSocial added new elements to its proprietary methodology to measure search engine optimization. Firms that have high SEO scores rank higher on search engines and are doing a better job of broadcasting thought leadership content to clients. 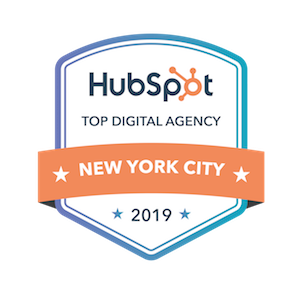 This year’s top five firms overall demonstrated the greatest comprehensive adoption, integration and use of digital marketing, social media and thought leadership content to market and grow their practices. DLA Piper retains its lead in the rankings, with a near-perfect score of 98.4. Latham & Watkins, last year’s no. 2 firm, is at no. 3. Baker & McKenzie, White & Case and McDermott Will & Emery all jumped into the top five. A correlation between social media success and business development: The best-performing firms demonstrate a consistent strategy towards client and prospect outreach. They continually produce educational, relevant content to raise awareness of their services and demonstrate their attorney’s knowledge and experience. Attorneys are embracing thought leadership: Attorneys are active in generating content that anticipates the problems and issues their target audience is facing. Multiple channels, one message: The top firms in our study develop content for all their social media channels following a clear and consistent strategy that recognizes the uniqueness of each medium. Firm size doesn’t always matter: As we previously noted, some smaller firms are performing better on social platforms than larger competitors. A firm’s size does not always correlate to the effectiveness or impact of its marketing.